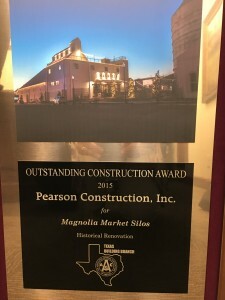 The “Outstanding Construction Award for Historical Renovation” was given at this year’s annual Association of General Contractors Texas Building Branch convention. The Magnolia Market Silos, which were once an eyesore to the locals, are now a main attraction since Pearson Construction finished the project in October 2015. Pearson also installed four-story elevators with a duel-opening cab that provides landings to each level. The offices, which serve as a loft-style working space for the employees, include a rooftop laid with turf for leisure activities. According to the Waco Tribune-Herald, an estimated 15,000 shoppers per week flock to the Magnolia Market Silos. 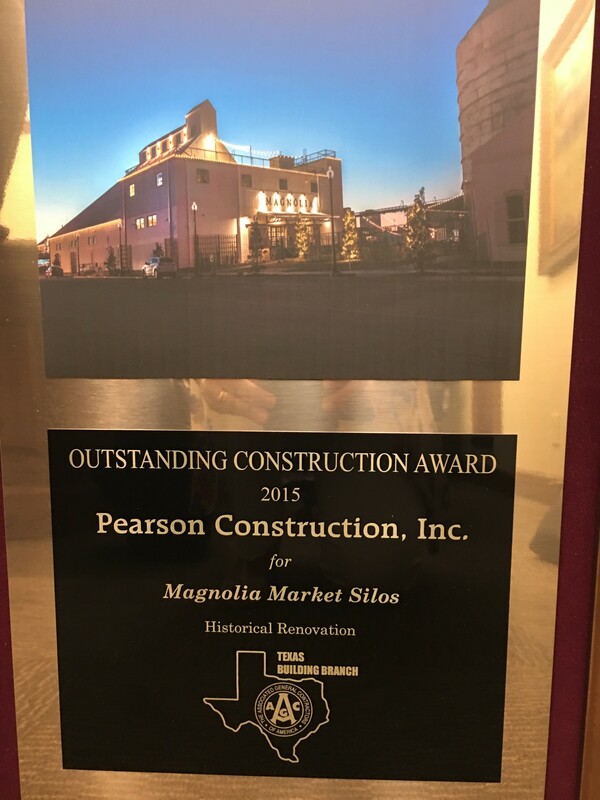 Pearson will continue to work with Magnolia during the next phase of this project, which includes renovation to the existing sidewalks along 6th Street along by concealing overhead utilities to enhance the sight lines.